I am excited (and a bit overwhelmed) with all of the progress we made in 2018, and the many projects we have planned for 2019. I’ll be turning 82 this year and I am more energetic than ever about Positive Discipline! The growth of Positive Discipline around the world is awe inspiring to me. I was recently in Paris at the first European Positive Discipline Think Tank. Two hundred people from 24 countries were in attendance. I never dreamed when I sat down to write the first Positive Discipline book in 1981 that it would grow to become an international program with thousands of people creating respectful relationships in homes, schools, and business. Of course, I could have never have done this alone. 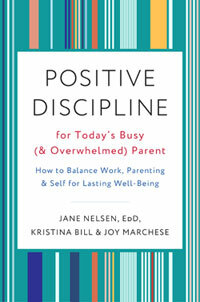 I am so grateful for the many people who have contributed to the success of Positive Discipline, including the fabulous co-authors who have worked with me over the years to create the products and programs. Then there are the many passionate people (all over the world) who become Certified with the Positive Discipline Association, which keeps us connected like a huge family by offering support and training where we continue to learn and grow. The feeling of belonging and significance is amazing when you interact with the people who have a common vision and mission. 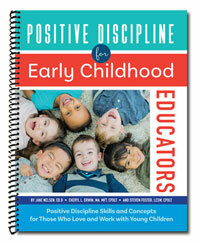 We completed a core certification training: Positive Discipline for Early Childhood Educators. This has been a need for many years, and co-authors Cheryl Erwin and Steven Foster finally made it a reality. The first training of trainers was held in July 2018 after the Positive Discipline Think Tank in San Diego. Now I am happy to announce that there are many workshops scheduled around the world. Click Here for upcoming events. Dina Emser and I completed a new Positive Discipline in the Workplace training. We have always believed that the Positive Discipline principles are Universal and work not only for parents and teachers who want to improve their communication with children; but are also very effective when used to improve communication between adults. Dina Emser and I piloted the workshop this year in Paris and San Diego. Next we will be bringing the program to China, Spain, Mexico, Brazil, and other countries around the world. It is exciting to see the light go on when managers and team leaders experience the effectiveness of Positive Discipline in the Workplace. Click Here for more information. Coach Reed Maltbie and I have developed Positive Discipline Tools for Coaches to help improve the environment in youth sports. A workshop and support materials are in the making. 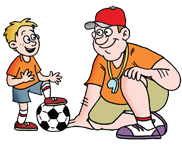 Many parents have experienced the negative results of youth sports coaches who believe in punitive coaching methods to motivate children. We now have research to show the damage done by these archaic methods. They simply do not work in the long-term and the negative impact on children can last for many years. We want to be part of the solution and introduce Positive Discipline principles to youth sports coaches. Keeping the Joy in Relationships has been updated and the workshops were shared in China, Brazil, Peru, and Mexico. The many success stories we are receiving will be included in the Keeping the Joy in Relationships book that will be published in 2019. Our goal this coming year is to utilize our social platforms to further connect people around the world. Positive Discipline is truly a global community and we want to involve as many people as possible. If you are not already following us, click on the social media links below and join us! 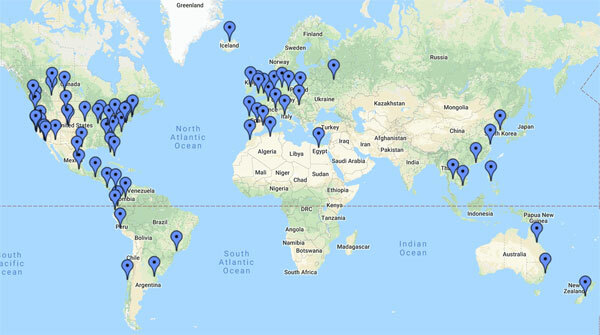 We now have Certified Positive Discipline Trainers and Educators in over 60 countries! We are continuing to translate materials for local populations and hosting workshops around the world. Click on the link below for an interactive map with links to resources in your area. “Where did we ever get the crazy idea that to get children to do better, first we have to make them feel worse”? Coaches hold tremendous influence over children. We have the power to build them up into better athletes and people. This program is designed to provide a step-by-step approach to help business professionals understand how to create a culture of mutual respect and productivity in the workplace. 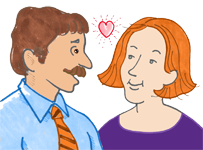 Whether you have been married for 30 years or are looking for a committed relationship, this workshop provides the tools to establish, strengthen, and rediscover Connection, Passion, and Joy in any relationship. 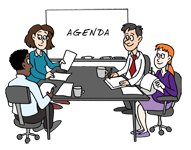 Recently, work life balance has become something that organizations and corporations have prioritized for their employees. Giving employees a better lifestyle promotes productivity. We released a new book with workshops coming soon. I have a struggle with my daughter every morning when doing her hair. She has really curly hair and I need to detangle it by finger combing it and sometimes it pulls her hair. I always try to avoid pulling her hair but sometimes it unavoidable. What tools would you suggest to tackle this issue? She is only 4 and I am not sure she can really detangle her hair herself.